How does one develop a relationship with G-d? Aside from the technical aspect of learning and doing the mitzvot, how does one actually infuse the connection with content? This is a very sensitive and perceptive question. I admire your sincerity and spiritual integrity. The Jewish belief is that, ultimately, G-d’s relationship with the world is based on love. Love, therefore, is the basis of G-d’s relationship with every person. The Hebrew word for love is ahava, whose root means “giving”. From a Jewish point of view, love is based, nurtured and expressed through mutual giving. 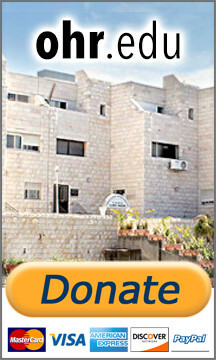 Thus, one of the major ways of developing a relationship with G-d is through giving. When learning and doing the mitzvot, in addition to viewing them as technical duties we perform, we should view them as ways in which we give to G-d, so to speak. Although G-d certainly has everything and doesn’t need anything from us, insofar as serving Him involves on our part sacrifice, effort, time, energy, resources etc., we are giving of ourselves to Him, as it were. And even though in truth we are only giving Him what is His and what He has shared with us, still this conscious effort of giving to please Him should infuse our relationship with Him with the love generated through giving. And of course, focusing on and reflecting upon the myriad ways in which G-d is constantly giving to us, also engenders within us appreciation and love for Him - similar to the way we grow close to one who demonstrates his love, concern and benevolence to us. Another idea to consider is that in addition to learning Torah or doing mitzvot in order to know and do, intellectually and technically, we should be using these opportunities to become aware of, and palpably feel, G-d’s presence in our lives. Torah study should not be just learning to understand and know, but to actually connect to G-d. When learning, a person should have in mind that he’s actually communicating with G-d, and that in these words of Torah, G-d Himself is revealing His will and Divine intelligence. G-d Himself is present in these words and reveals himself to us while we learn. The same is also true regarding doing mitzvot. Rather than viewing them simply as good acts that we do, we should always be recalling to ourselves the way in which G-d Himself is “present” in the mitzvot and how doing them connects us to Him. In summation, two main ways of infusing our connection with G-d with content is through reflection on the mutual giving in the relationship, and through actively and creatively seeking His presence in all that we do.